Wow, Meow! 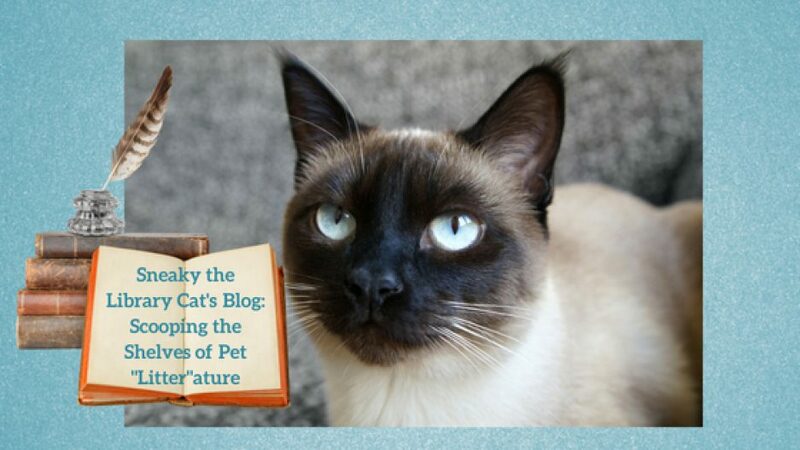 Today, I have the opportunity to interview a real-life cat who was recently rescued and adopted by author Mollie Hunt. Hi, Sneaky. I’m Blaze. I was recently adopted by my foster-person, Mollie Hunt, who turns out to be the author of the Crazy Cat Lady cozy mystery series. Who knew? That’s pawsome. I can’t wait to hear your story. Tell us about yourself and your author, how you met, how long you’ve been together, anything else that would interest our readers? For ten years I lived with my family, but when I broke my arm, they couldn’t afford to get me fixed up, so they relinquished me to a shelter. The place was scary and loud with d-o-g-s, but the nice doctors set my arm so it didn’t hurt so much anymore. Unfortunately the arm didn’t heal and they had to bring me back and put me to sleep on the silver table again. This time when I woke up, I had heavy silver pins sticking out of my fur. They said that until the pins came out, I’d need kennel rest, which means I couldn’t run, jump, or play. That’s when I met my soon-to-be cohabitor Mollie. Mollie took me home and put me in her kennel. It was a really nice one, not like the dreary shelter cages. This one had a big bed, lots of food, a convenient commode, and best of all, a big window with bird TV. Since I was tired and my arm still hurt, I didn’t mind so much resting in my personal boudoir. Mollie came and took me out for supervised visits at least twice a day. I got to walk a little but mostly I sat one her lap and purred. In the morning and evening, she had to clean my pins so they didn’t get icky. I didn’t much care for that, but I always got treats afterward. This went on for a long time, and I began to get restless, but finally the doctors decided the pins could come out. I would soon be ready to go to a new forever home! That was a conundrum though, because I’d been with Mollie, her husband, and her other felines, Tyler and Little, for so long, I thought it was my forever home. I told Mollie, and she agreed I’d become part of the family. That’s a beautiful, lapwarming story. You’re one very lucky kitty, and Mollie and her family are also lucky to have you. Have you read any of your author’s books? If so, can you tell us something about them? I didn’t know much about books and authors before I started living with my cohabitor, but every morning she took me out of my boudoir to sit on her lap while she typed on a keyboard. I began to get interested in what she was writing, and became even more interested when I learned that all her stories had cats in them. Her Crazy Cat Lady series features Lynley Cannon, a sixty-something cat shelter volunteer, sort of like herself but more adventurous and less introverted. Mollie worked on two forthcoming books while I helped: Cosmic Cat, about a cosplayer named Captain Cat who falls to his death at a comic-con, and Cat Noel, a Christmastime story with a catnapping and daring rescue by Lynley. They sound scary but they’re really more exhilarating than fearsome. Mollie is also proofing her new book, Cat Café. (A body is found on the floor of the cat café and all the black cats are missing.) She is very excited about this one because it will be published shortly for everybody to read. How mice, Blaze. Your author sounds very talented. Will you be in any of your author’s forthcoming books? Of course! Who wouldn’t want to feature a handsome, debonair, tuxedo cat like me? Maybe I’ll get to save the day like… oh, but I don’t want to give away the story. What advice would you give to other authors’ cats? Don’t step on your author’s keyboard when they’re writing- I know you want to, but their mind is elsewhere, and you may find yourself banished from the room. If you are a lapsitter like me, curl up and purr, sending good kitty mojo and feline inspiration. Very good advice. I’ll share it with Debbie’s cat, Stripey. And at independent bookstores in the Portland area. Thanks for that info and a great inter”mew,” Blaze. Best whiskers to you and your author. Thanks so much, Sneaky, for letting me tell my story. And to all you cats out there who are waiting for a home, someday it will come just like it did for me. Mollie’s Bio: Native Oregonian Mollie Hunt has always had an affinity for cats, so it was a short step for her to become a cat writer. Mollie is the author of the Crazy Cat Lady cozy mystery series, featuring Portland native Lynley Cannon, a sixty-something cat shelter volunteer who finds more trouble than a cat in catnip. Mollie is a member of the Oregon Writers’ Colony, Willamette Writers, Sisters in Crime, and the Cat Writers’ Association. She has won four CWA Muse Medallions for her work. Mollie lives in Portland, Oregon with her husband and a varying number of cats. Like Lynley, she is a grateful shelter volunteer. Sneaky here with another pawsome interview of a pet character. Today, it’s my pleasure to cat chat with a cozy mystery cat. Hi, Sneaky, and thank you for having me on your blog today. Meow! My name is Matty, short for Matilda. My author Paige Sleuth likes to take credit for creating me, but as we cats know we’re our own masters and do things our own way. So while Paige might have given me my start, I pretty much do what I want in her books. I can relate. I do the same in Debbie’s Cobble Cove series. I am in all of the Cozy Cat Caper Mystery books, which make up Paige’s cozy mystery series. There are two dozen books in my series to date. The first one, Murder in Cherry Hills, is where I made my debut. That was a tough one for me. In that book my former human was murdered and I had to move in with her neighbor, Kat Harper. Kat actually solved that case—with my help, of course! Now Kat and I spend a lot of time investigating crime in our small town of Cherry Hills, Washington. I let Kat do most of the work though, since I personally find all that to be really tiresome. Kat hardly ever takes naps, if you can believe that, Sneaky! Kat sounds like a “cat.” We always sleep with one eye open. Please give more information about your series. I am the star of the Cozy Cat Caper Mystery series, if I do say so myself. I have a brother, Tom, but he’s not nearly as smart or as cute as me. Tom spends a lot of his time trying to get the humans to pet him (he loves belly rubs), which is silly in my opinion, since the humans will seek you out without you having to do anything. I am fond of Tom though, and it’s nice to have a brother of the same species around to commiserate with. In my series, Tom and I both help our human Kat solve crimes where we live in Central Washington State. My books are novella length, they all feature a mystery of some kind (but not always murder), and every book can be read as a stand-alone. I am loosely based on Paige’s cat Anna Belle. In terms of looks, we’re identical. We’re both adorable, with yellow-and-brown markings, a gray-striped tail, and greenish eyes. And although our personalities are not exactly the same, we do have some things in common. We both walk on leashes, for example. And we’re both very regimented about our meals and enjoy watching birds. I’m actually a bit more aloof than Anna Belle, who Paige says is the friendliest, sweetest cat in real life. My author used to walk her cat, Floppy, on a leash. That was many years ago, and he’s been on Rainbow Bridge a long time. Her other cats have been indoors only, but they have also enjoyed bird watching. What cat doesn’t? This is from book four, Vanished in Cherry Hills. In this scene Kat is searching for her mother who disappeared a few decades prior (Kat grew up in foster care). Being the helpful kitty I am, I’m trying to point her in the right direction, but she’s just not getting it. I know you understand, Sneaky. Those humans can be awfully dense sometimes, can’t they? I remember this scene well because it was extra frustrating for me! Matty meowed again before closing her eyes and pressing her head into Kat’s hand. Matty meowed again as if to disagree. Or, Kat thought, an eerie sensation washing over her, was Matty trying to tell her something about her mother? Kat shook the thought away, feeling ridiculous. Was she getting so desperate for answers that she thought Matty had them? When Matty meowed this time, she batted her paw at the folder in Kat’s lap. Matty jumped on the coffee table and sat down, her tail swishing. Kat shivered as Matty’s penetrating green eyes bored into her own. She knew Matty possessed an uncanny awareness of things, almost a sixth sense. Somehow she always knew when Kat needed a little extra love and would come over to give her hand a lick. And she never failed to predict when Kat had something unwelcome in mind, like a claw-trimming session. Kat had yet to figure out how Matty deduced what she was up to before she even took out the clippers. Kat clutched her head in both hands, wondering if she was going crazy. After all, what could Matty possibly have to tell her about her mother? And yet, no human had offered any answers so what did she really have to lose? Matty settled down on the coffee table, tucking her paws under her chest. Kat glanced at where Matty had chosen to rest, as if the cat were deliberate about her napping spots and not prone to sleeping wherever she happened to be. Right now, Matty was lying on top of the Cherry Hills Veterinary invoice that Imogene had given her earlier. Feeling a little foolish, Kat leaned forward and studied the invoice. The part that was visible above Matty itemized all the expenses Imogene had accrued during her visit. Peeking through Matty’s fur at the bottom of the page was the total amount owed. Nothing struck Kat as peculiar. Certainly nothing revealed where her mother might be. Kat flopped back against the couch, mentally chiding herself for actually believing Matty’s actions were cloaked in hidden meaning. Matty meowed again. When Kat looked up, she swore the feline shook her head in dismay. “If you’re trying to tell me something, you’re going to have to be more blunt,” Kat told her. Matty flicked her tail in response. Then she began licking her paw, as though to indicate she’d done all she could. Mice excerpt, and I agree with you that humans need a paw in the face sometimes to get the picture. They just aren’t as in tune to mysteries as we are. I like how important I am to the stories. Not only do I provide some entertainment and comic relief, but I’m often involved with solving the cases themselves. Once or twice I might have even been the reason Kat became involved in a case in the first place. That’s not my fault, mind you, it just seemed to happen. I mean, how was I to know a dead body was outside our apartment building that one time I snuck out there despite my human’s orders to stay inside? I wish I had a larger role in my author’s books, but I think I’ve led Alicia to many clues even if she thinks she was the one who found them. I am mostly a silent cat. I meow if I want something or have something important to say (usually as it pertains to food), but I generally prefer to communicate in other ways. I have many looks I give my human (not all of them nice! ), and at times I can lead her in the right direction (or try to, anyway) with my behavior. Same here. It’s a challenge I think most character cats and human cats, too, face. My main advice would be to sleep as much as possible. You’re going to need that energy when your human gets caught up in whatever adventures they have planned next. And those humans sure do know how to find trouble! Also, never let your human forget what their main role is. Their number one priority is to feed you on time. Murder investigations should never take precedence over that. So, no matter what else is going on in your human’s life, be sure to wake them up for breakfast every morning and show them where the kitchen is every once in a while. You don’t want them to forget the important stuff. I agree. Food first, murder solving second. I don’t have any set dates for future books. Paige releases a new book whenever she finishes up one of my stories, but she doesn’t have a publishing schedule. She’s like me and prefers to take things one day at a time! My most recent release came out earlier this month. It’s titled Independence Day in Cherry Hills. I must say, I didn’t appreciate the fireworks in that one. Nor did I much appreciate the gunshot that masqueraded as a firework or the dead guy who ruined my human’s holiday. I don’t want to give any spoilers by telling you whether I still got fed on time, but I will say it was a struggle. You’ll have to read the book to find out more about that! I haven’t experienced any fireworks in Debbie’s books. They’ve only taken place in the fall and winter, but I hope if she writes a summer one, she leaves out those noisy fireworks. I don’t have any social media accounts either, but I do enjoy my blog because I meet such interesting pet characters and real-life ones, too. Paige would also like for me to tell you she’s running a “Buy in July” promotion where $1 from every book of hers purchased in July (excluding books priced under $2) will be donated to the Community Cat Coalition of Clark County (C5). C5 works to spay/neuter feral cats in the Las Vegas area, which helps to reduce the number of local cats euthanized every year. I can vouch for them as a very worthy cause. Wow, Meow. That is so generous of your author to contribute to such a worthy cause. Thank you so much for interviewing me, Sneaky! Have a meowy day! You, too. It’s been great cat chatting with you, Matty. Best whiskers to you and Paige on your upcoming mysteries. Although some people take their cats on vacation with them, many prefer to leave them at home with a cat sitter,, friend, family member, or neighbor checking in and feeding, changing the litter box, and playing with kitty. Since cats like routine and prefer to stay in their own environment, this is usually a good idea. Here are some tips on what to do before you go away.